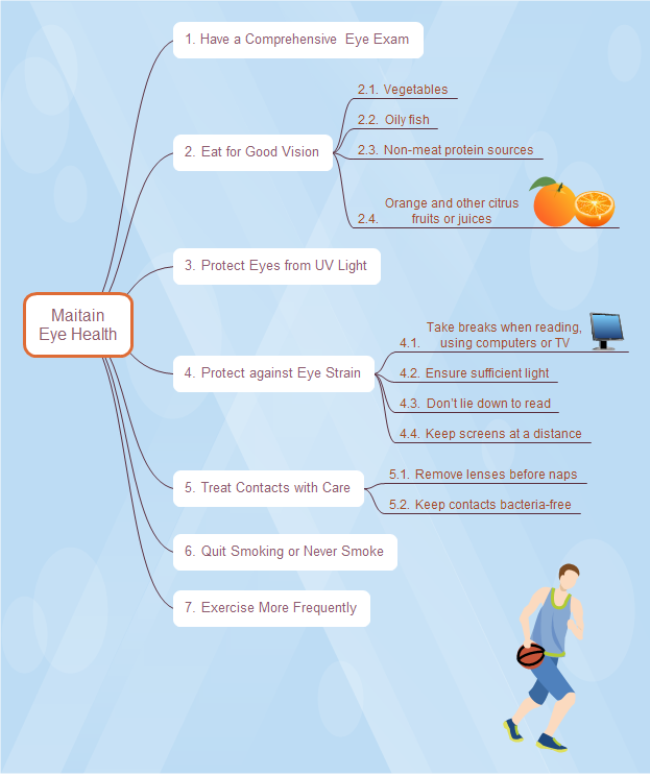 Description: A free customizable mind map template about eye protection is provided to download and print. It visually displays some simple and useful tips about eyesight protection. It is a simple mind map example created by Edraw Max, which is available in different formats.